When you are quite young, it is not unusual to imagine what your milestone birthdays might be like. Will I get a car when I turn 16? (Definitely not.) Will I have newfound freedom when I turn 18? (No.) Will I party til the sun comes up when I turn 21? (Ha! Still no.) When I was young, I could not have imagined that I would spend my 21st birthday in Athens, Greece. Secondly, I would have never imagined that my sweet aunt Malari would fly all the way from Portland, Oregon to celebrate my birthday weekend. The celebrating began before that, even, on Thursday night when my entire Greek class met at the home of my Greek professor, Lida. We watched a Greek film called Πολίτικη κουζίνα and ate traditional Greek food. Lida was so kind and got cake and ice cream to celebrate two birthdays: mine and another student’s birthday which happened earlier that week. My professor gifted me a small book of children’s short stories in Greek. She handed it to me saying, “Maybe you will be able to read this when our class is over…” At least I can enjoy the pictures, right? 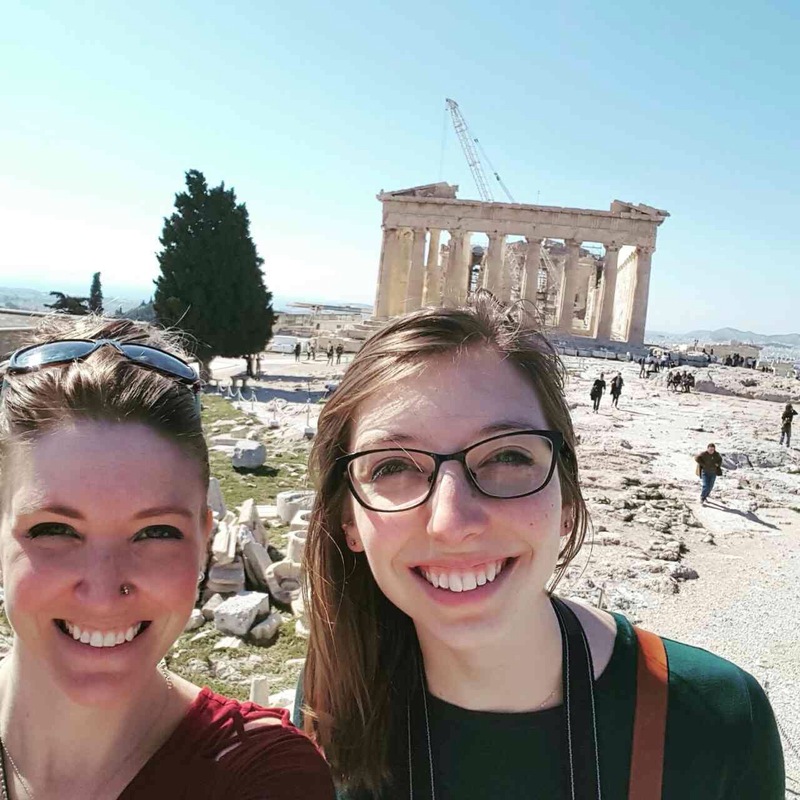 On Friday, when my aunt arrived, we took advantage of the warm and sunny day and hiked up the Acropolis to see the Parthenon. The weekend concluded with Clean Monday, the first day of fasting in the Orthodox calendar. Clean Monday is celebrated by eating special Lenten foods like unleavened bread and octopus. Traditionally, kites are flown on this day as a symbol of the soul being lifted up. My aunt and I climbed to the top of Philoppapou hill to watch the kites and enjoy the view. 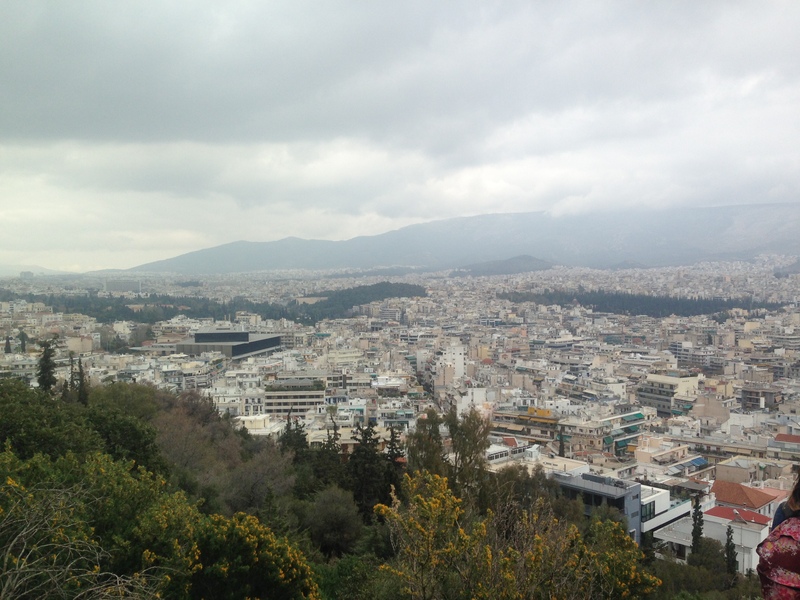 The hill is directly across from the Acropolis hill and offers a great view of the Parthenon. Here is a view in the other direction looking out over Athens. The very large green space in the left portion of the photo is the National Garden. The view of Athens from Philopappou hill. This week begins the 40 day Lent period. Since 95% of the population of Greece is Eastern Orthodox, it is a unifying time of discipline and increased devotion. I will fast alongside them in preparation for Easter, the biggest celebration in Greece! With the conclusion of this day, my fun birthday weekend/family vacation comes to an end and I am back to being the student I came here to be. 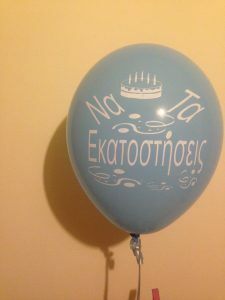 I could have never envisioned my 21st birthday to be in Greece, but I am so happy it was.